A week after arriving in Mozambique‚ the first team of South African rescuers is home‚ exhausted after their efforts to save as many people as they could from the devastating effects of tropical cyclone Idai. The first rescue teams to get to Mozambique included IPSS‚ Rescue SA and Rescue Care. IPSS said rescuers have completed more than 50 rescue missions. Together with South African Air Force helicopters‚ they have assisted in getting people to safety and in some cases reuniting them with family and friends. 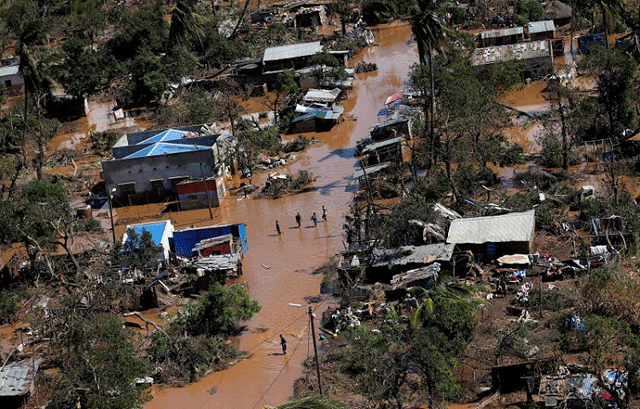 Reuters reported on Thursday the death toll in Mozambique had risen to 217 and that around 15‚000 people‚ many of them very ill‚ still need to be rescued‚ quoting Mozambique's land and environment minister Celso Correia. Beira‚ he said‚ had been devastated. Rescue teams flew over the Buzi district in Beira and came across the townpeople who were sheltering at the basketball court. They took women and children by helicopter to an area where medical tents were set up‚ but every day they went back‚ there were more people seeking help. On the first day‚ they went to rescue people holding onto structures and trees in the districts of Dondo and Mthanda in Beira. The helicopter had limited space so they could only take women and children. When they came back for the men‚ they had all been swept away. The team says they could only have drowned. Herbst urged people wanting to help to send food and water to Rescue SA‚ who were staying in Beira to aid victims of the cyclone.